I needed a few days to think about this book before I wrote my thoughts down. As beautiful as it was, it did bring up some personal feelings I've had in the past. There were just a few pieces of dialogue that set me off, but you might not have the same reaction as me. I want to preface this because the book is heartbreaking, but not in the way it broke my heart. That's just all on me. The story is about a Palestinian family living in Brooklyn. It follows three narratives: Deya, Fareeda, and Isra. Deya is 18 years old and about to start meeting suitors for possible husbands. She lives in Brooklyn with her three younger sisters and her grandparents. Fareeda is Deya's grandmother. She's the one setting up Deya with suitors. She's originally from Palestine and lived as a refugee there with her husband and children. She's also adamant about Deya finding a husband and becoming a wife ASAP. Isra is Deya's mother. While her story is told throughout the novel, she's currently deceased in Deya's current timeline. All three of these women were born into families who believed a woman's place is in the home raising her children and pleasing her husband. They don't have educations beyond high school and they were all strictly sheltered by their families. The big difference is that the family lives in America. This book blew me away. Etaf Rum writes simplistically, but don't let that fool you. Her details and scenes felt like me standing in the middle of their basement apartment. I could smell the food they were cooking. I can taste the blood in my mouth. Her vivid components made reading more exciting, but also more suspenseful. I don't think I can even do the synopsis justice. This book was like a rose, beautifully layered petals revealing the inner truth behind a small family looking to marry off their eldest daughter to a Palestinian suitor. From there, the story follows her mother, her aunt, and her grandmother's life. I don't want to get into the details of what happens because that will spoil it a little. However, I do want to chat about what I read. One of the major themes of this story is being both Palestinian and American. Being torn between two worlds is something I've struggled with for a really long time. You've got your family who wants to continue sharing their traditions and passing them down to new generations. But then you've got American culture and tradition. America's cultural sway is so strong many 1st and 2nd generation kids abandon their heritage for it. So when you want to make your family happy, but also be a part of American culture you have to give a little and take a little. For Deya's family, there was no give and take. It was all Palestinian or nothing. Another major theme in this story is the cycle of abuse that's being passed off as "tradition" and "culture." I know what it's like to come from a patriarchal family. I've been asked to clear the table while the men talked or serve cake to my grandfather first. My dad even considered hiring a matchmaker because I wasn't married by 26. In A Woman is No Man, domestic violence and abuse are signs of a disobedient wife. For them, a wife is supposed to stay at home, raise the kids, and service her husband. I think with that piece of info in mind, you will get an understanding of where this book is coming from. What I loved about this book is that despite it being women-focused, there are glimpses into this cycle of oppression even from the male perspective. It's a subtle nod, but it's obvious that both men and women struggle with keeping up with the traditions and culture. However, this book is mostly about women and their place in the world, how the world is changing, and how some traditions are better left in the past. 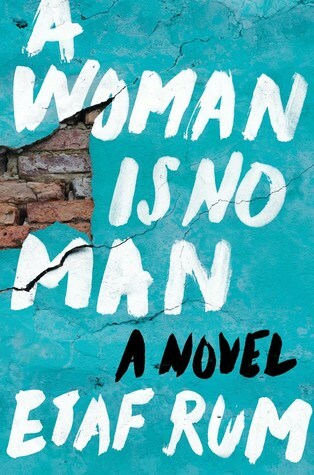 Sign into Goodreads to see if any of your friends have read A Woman Is No Man.